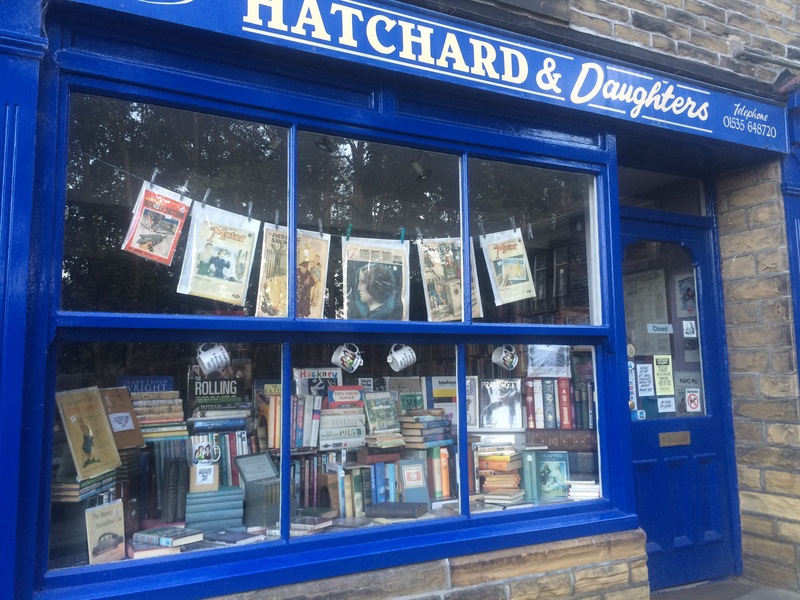 Continuing on from our blog on Monday we now feature the town of Haworth in our “Destination Report” series. Haworth beckoned because of the Charlotte Bronte connection for us and had done for years. Finally we made it there. 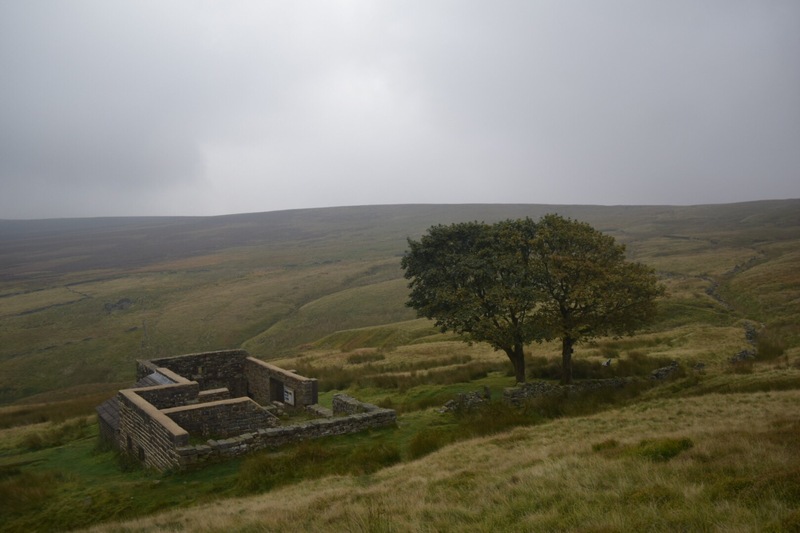 We turned up with the aim of seeing the Parsonage Museum and completing the walk to see Top Withins, the ruined farmhouse which is speculated as an inspiration for Wuthering Heights. We arrived in the small town in the late afternoon after a five hour drive from Kent. The b&b I had booked, Wilson’s, was conveniently located across from the museum and church. In fact the parking for the b&b was the parking for the museum. So we checked in and hoped that we weren’t too late for a good walk around the parsonage. The entrance costs to the museum are £7.50 per adult (here’s a list of all prices…Price List). It took about an hour to go round the house. 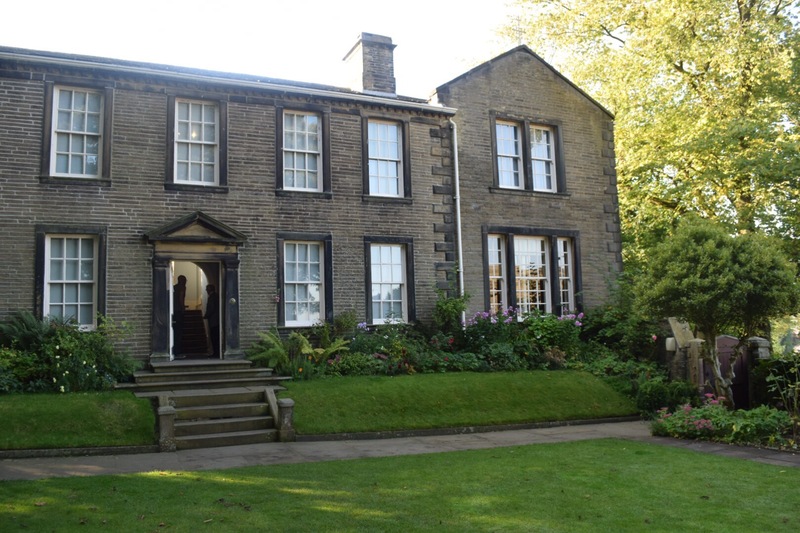 We entered through the front door and downstairs were able to see the dining room where the girls wrote their books, Mr Bronte’s study and the kitchen. Upstairs was Charlotte’s bedroom including a display of one of her dresses and some of her personal notes. We also saw Mr Bronte’s bedroom, Mr Nicholl’s study (the husband of Charlotte) and the children’s room. We then went through to an extension which showcased a number of items of Patrick Branwell’s art and several rare copies of the books including original writing from each of the girls. 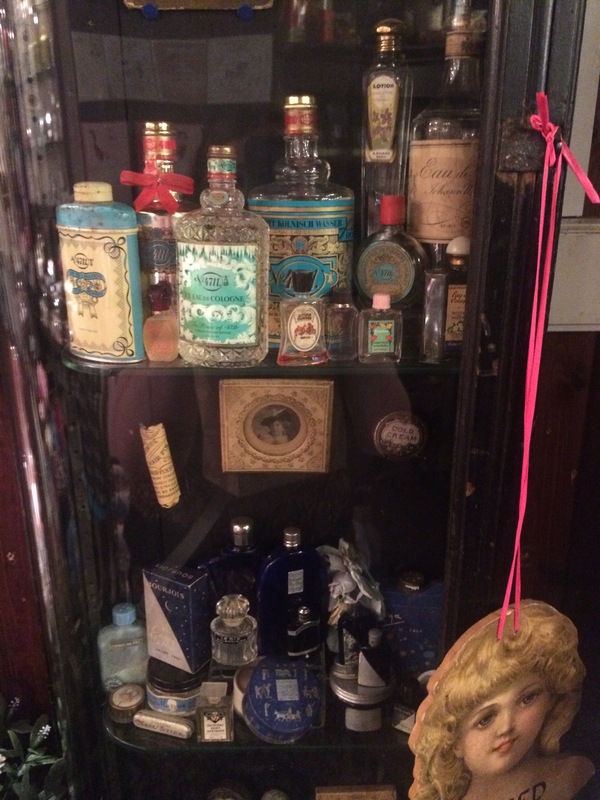 There were a number of personal items throughout the museum which proved enchanting, fascination and macabre! Emily’s Christening Cup, broken and glued back together. Emily’s art box. Charlotte’s writing box. And Anne’s blood stained handkerchief. I have long yearned to visit this museum as a huge Jane Eyre fan and I was not disappointed. I went along with my husband who has also read Jane Eyre and my sister in law and brother in law who had heard of the books. They all found it fascinating too and were more than happy to come back with me the next day to do it all again! They both walked away with the book they had each chosen to read. Wuthering Heights for him and Jane Eyre for her! We ate that night at The Old White Lion just down from our B&B and got an early night ready for the big day ahead. Up bright and early and treated to a magnificent breakfast at Wilson’s we were given very personal treatment and Dale and Martin, the owners, helped us out with the route to Top Withins, ensuring that we were aware before we set out that it only might be the inspiration for Emily’s Wuthering Heights. So we set off! 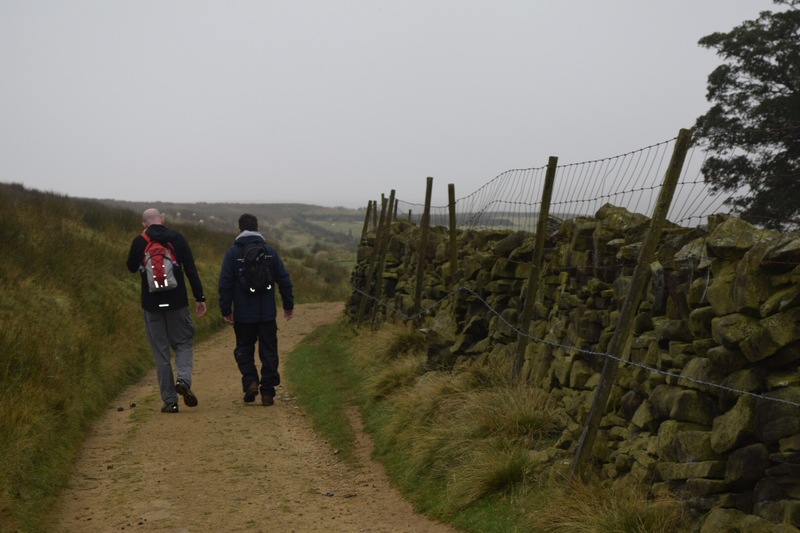 We walked out of Haworth along footpaths and country roads for just over a mile until we reached the start of the Moors. 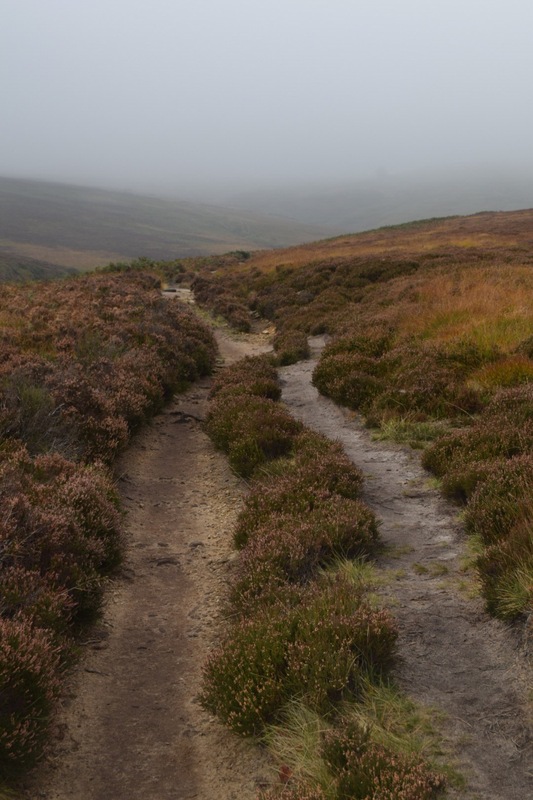 Here we found mainly gravelled paths until we reached some more boggy ones. Walking boots are a necessity! 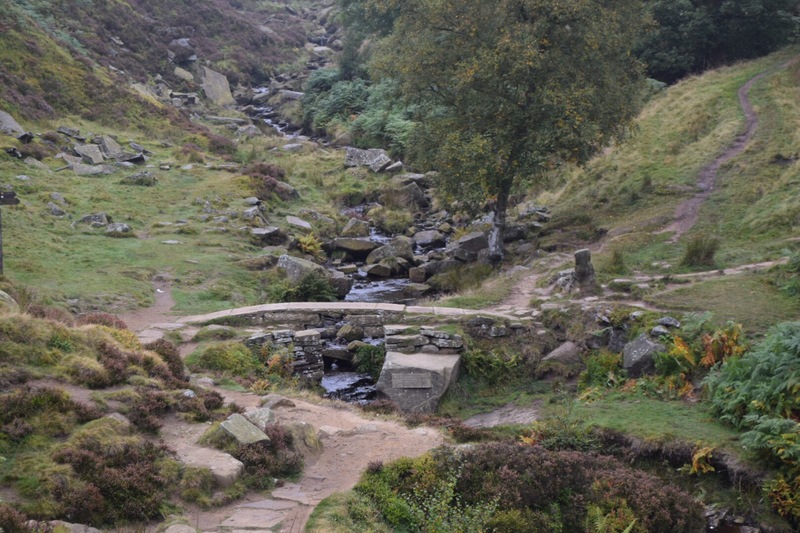 We were heading for the Bronte Falls. This was a really beautiful spot and a place for a sit and take it all in moment! 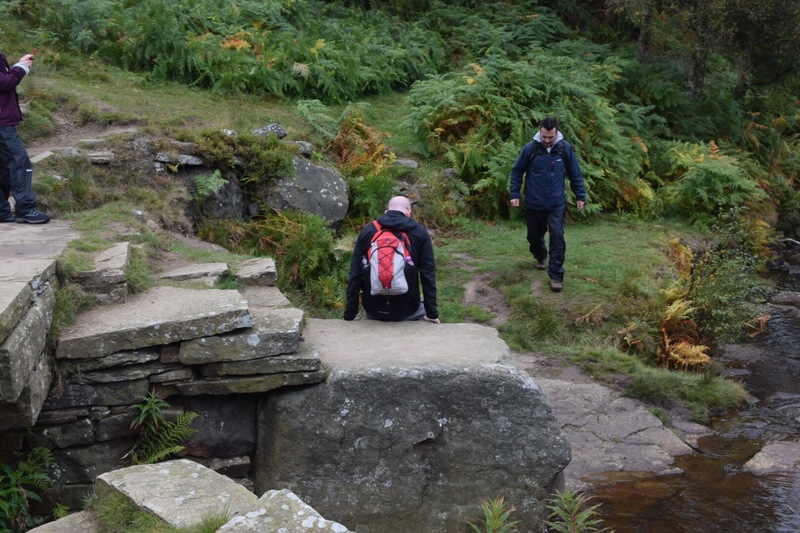 Next we had to clamber up hill which brought a sweat on for us all. And now we walked for a good few miles across boggy ground, sandy ground and fields. We saw ruined buildings and beautiful walls, interesting flowers and the sky that just went on for miles. We were walking further and further into the middle of nowhere! 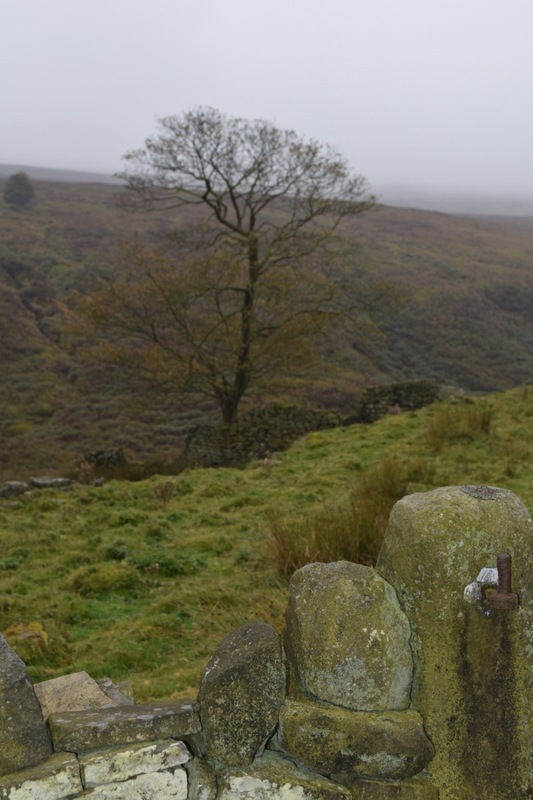 Eventually we reached the fingerpost that indicated we were near to Top Withins. Parking ourselves on a nearby bench we lunched on our feast of sausage rolls and haribo before I snuck off for a photograph session. Lost in the moment for quite some time as I looked at a bird box on a nearby tree, a bunch of now dead flowers left in the window of the ruins, another bunch at the bottom of a tree. 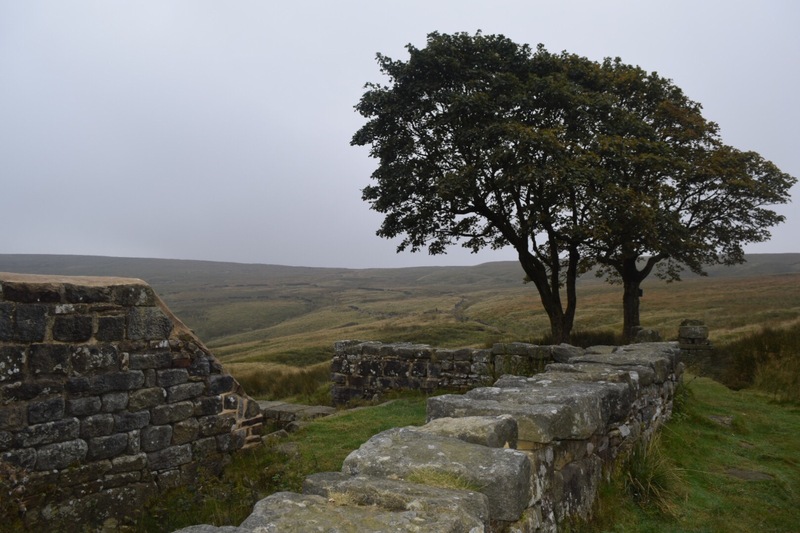 I walked around the ruins as best I could trying to imagine where the rooms were and if they made sense to the story of Wuthering Heights. 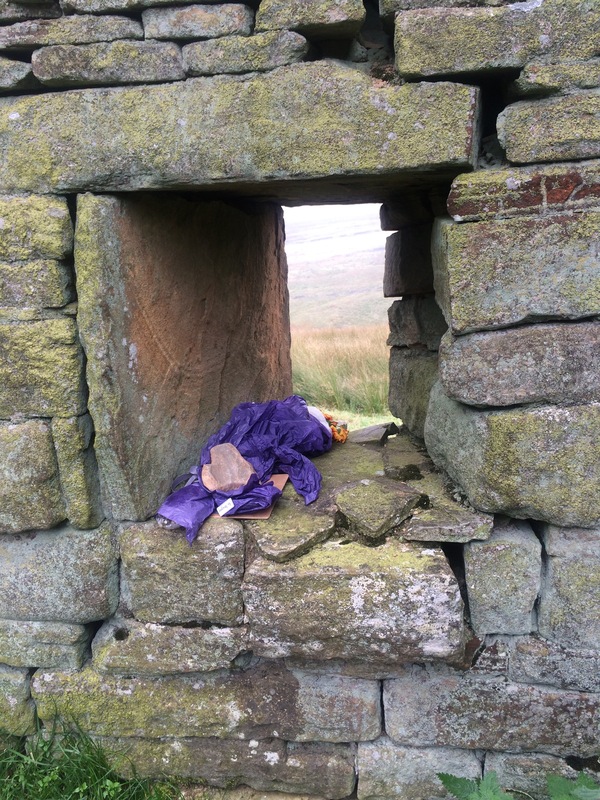 I wondered how the actual family had survived up here. The land didn’t seem such that much would grow here. What would they eat? Where would their food come from – we were miles from civilisation. I had managed to get here as part of my bucket list. What to live here and have to walk those hills to survive? And I mentioned the silence in my previous blog. Never have I experienced such rich silence. Nothing. Still air. No buzz of people or electricity or cars or dogs. Just nothing. It sounded amazing! The peace was astounding. 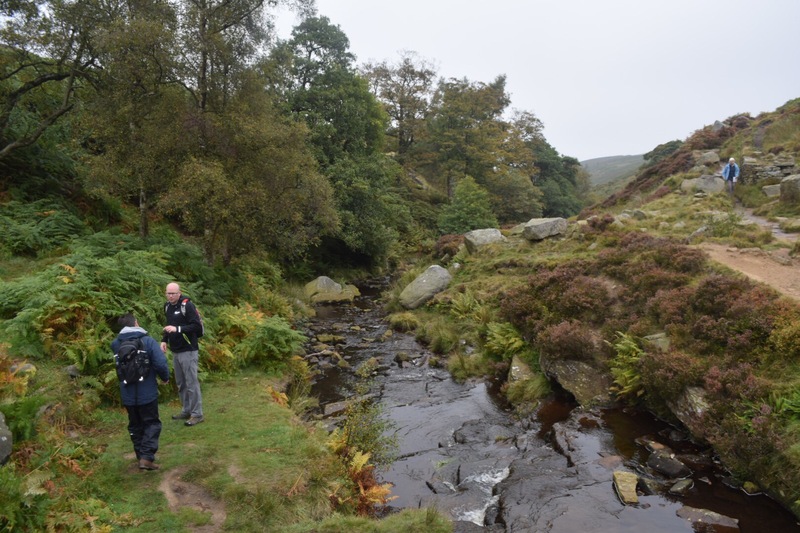 Eventually the others, having eaten the last of the haribo, called for me to get on with it and we began our journey back to Haworth. 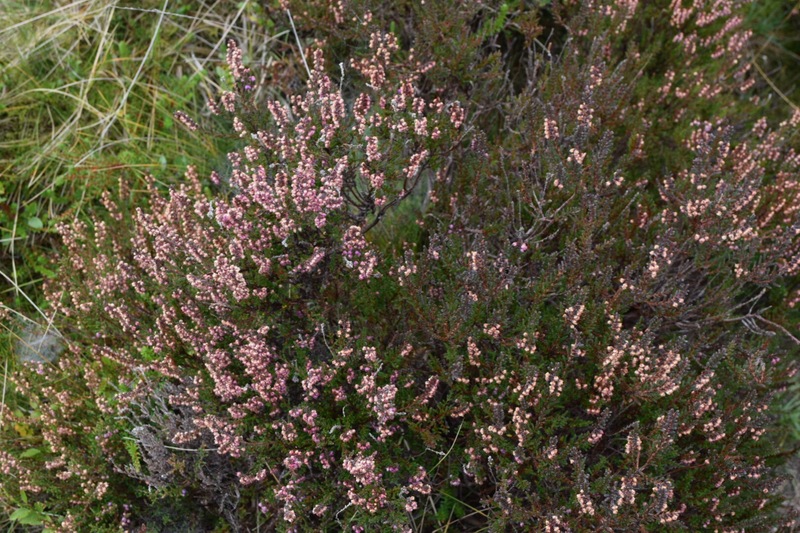 This didn’t see us retracing our steps exactly and on the paths back we met with sheep, cows, heather and a dam. It was certainly another few miles of beautiful countryside. 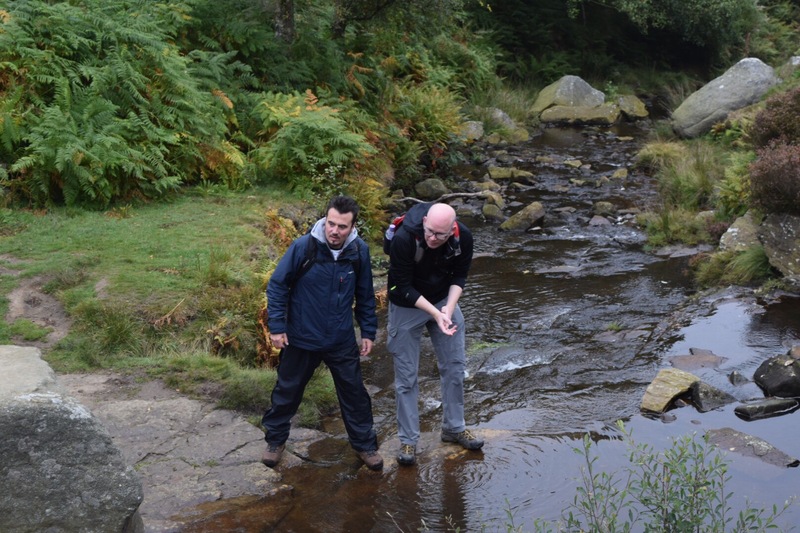 We got back to Haworth in the afternoon quite spent. Various parts of my body had hurt during the journey and some different parts hurt now. We returned to the B&B and decided the way forward was to bathe and meet up for shopping later! 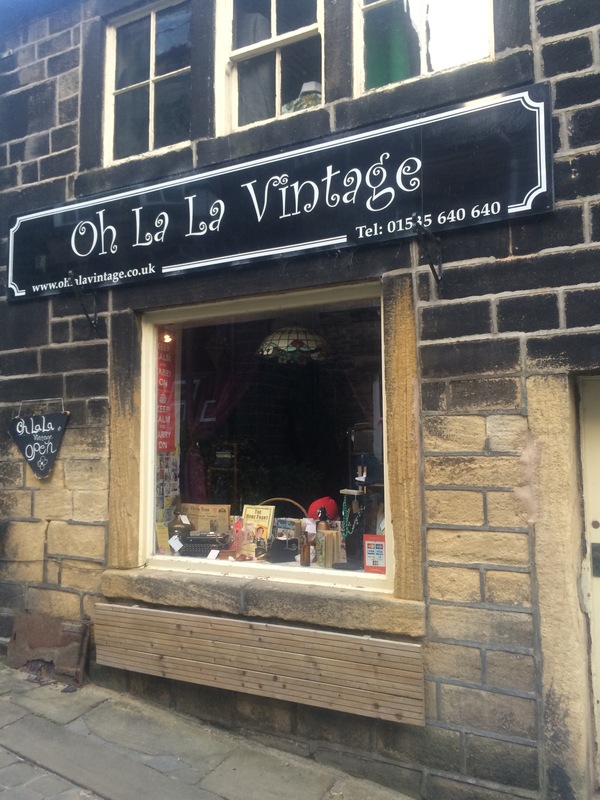 The High Street in Haworth is wonderful. 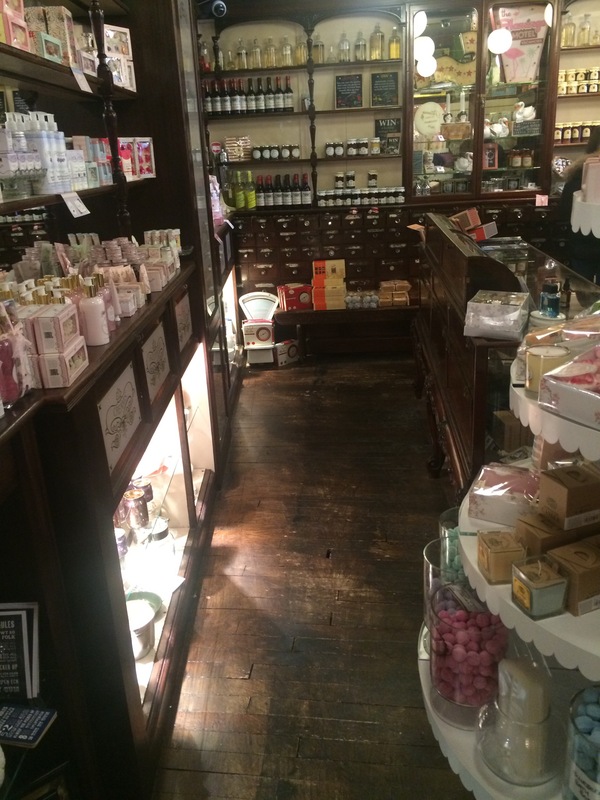 We felt thoroughly spoilt by the eclectic mix of shops and loved Oh La La Vintage and Hatchard and Daughters Book Shop with a special place in our hearts for the interior of Rose & Co Apothecary which I just stood in longing to have been the person that had sourced the fixtures and fittings! 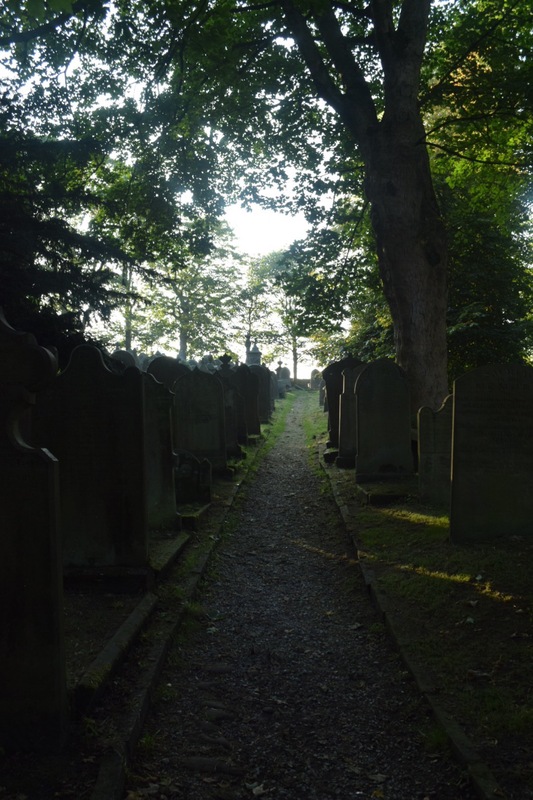 We finished off with a walk around the church and its graveyard which were also fascinating. 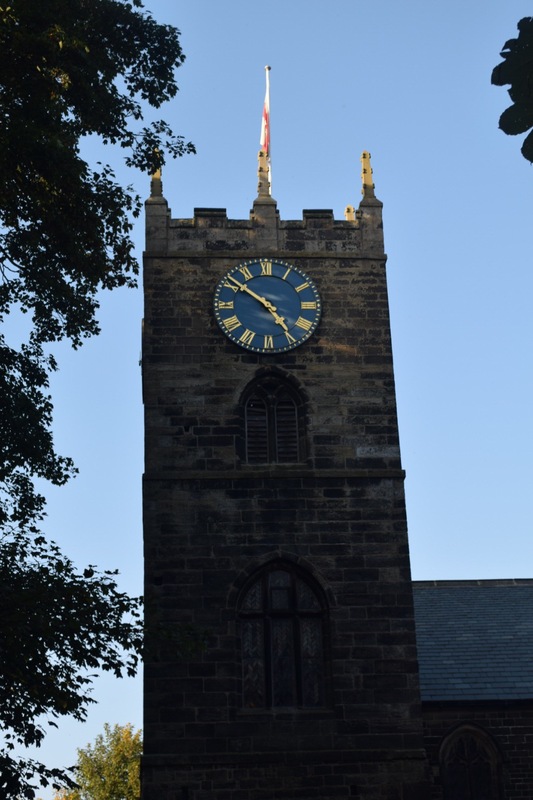 The church is not the one known to the Bronte family as it has been re-built. 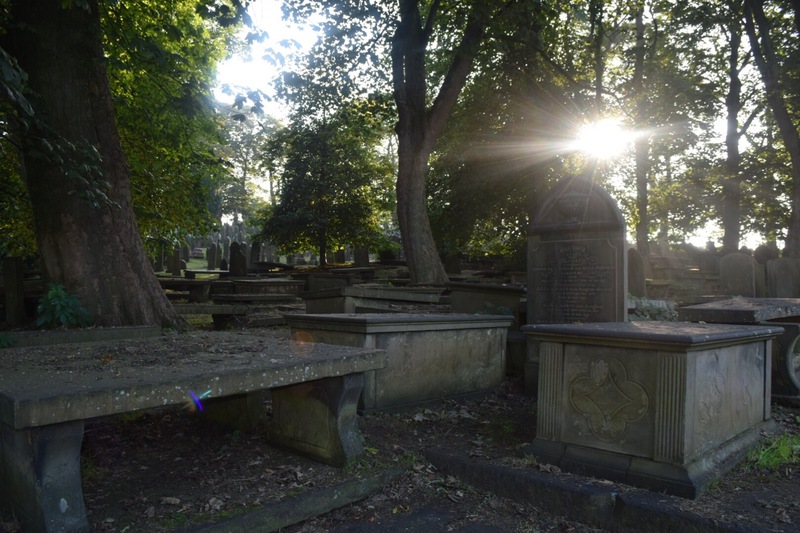 But the bodies of the girls (not Anne) are buried under the Bronte Chapel within the church. Anne is buried in Scarborough where she died. 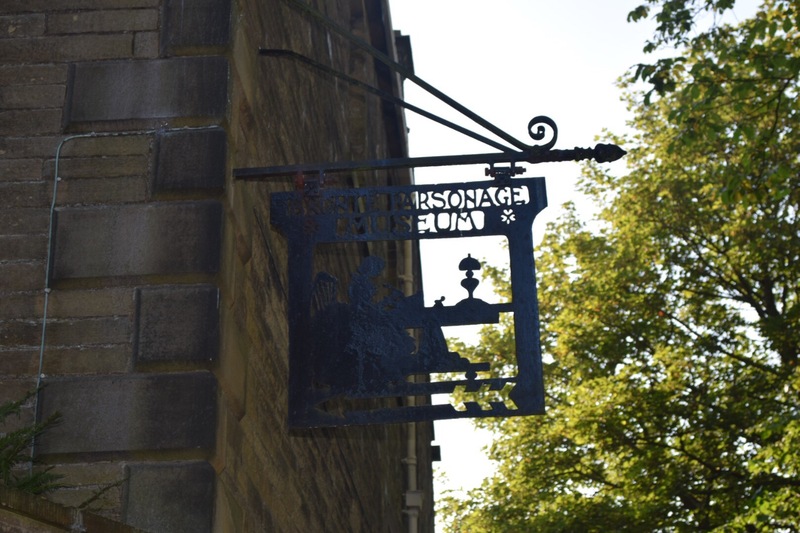 Haworth is a place of pilgrimage for Bronte fans and fans of literature in general. 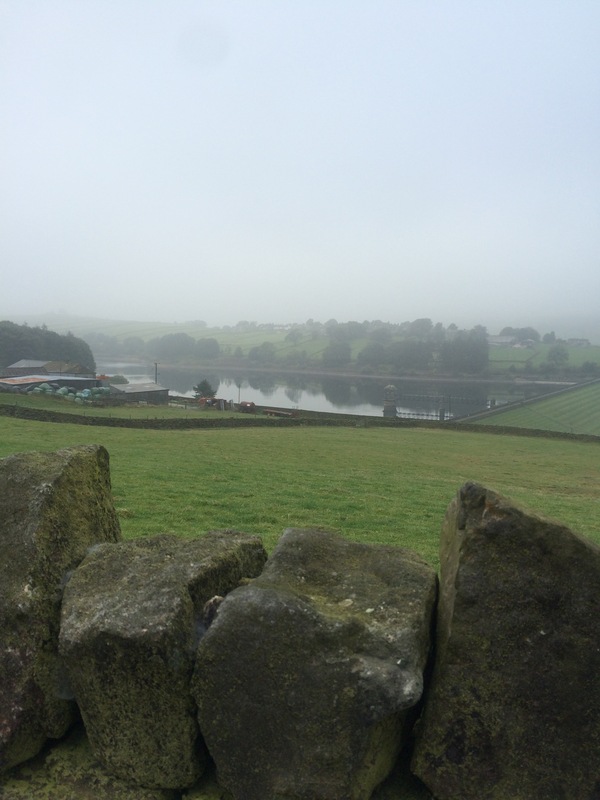 But you do not need to be interested in anything the Bronte’s wrote to enjoy the experience of the town. 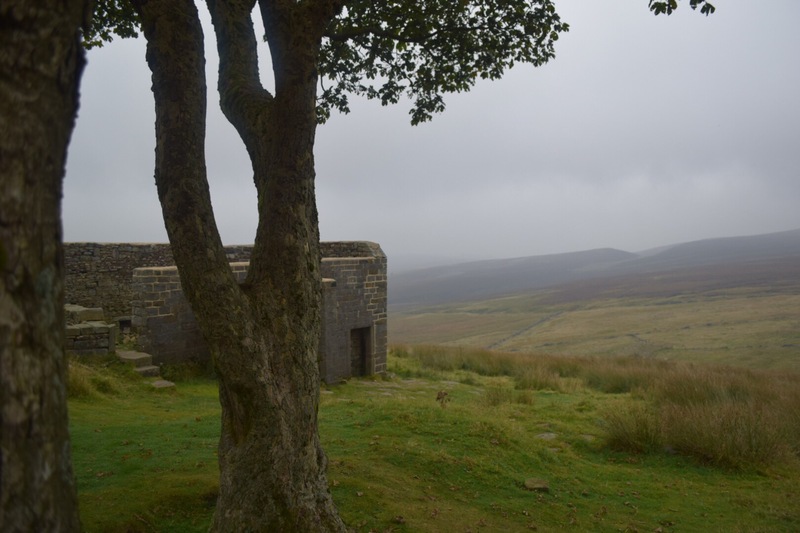 We were there for two days but managed to visit the museum, the shops and do the 6 mile walk to Top Withins. We didn’t feel like we crammed it in either. We had a lovely leisurely weekend and all felt sure that we would return soon. The bugger of the town is the hills. Hills everywhere. And steep ones. On the Saturday night we walked down to the Spar in the town to get some water and sweets. 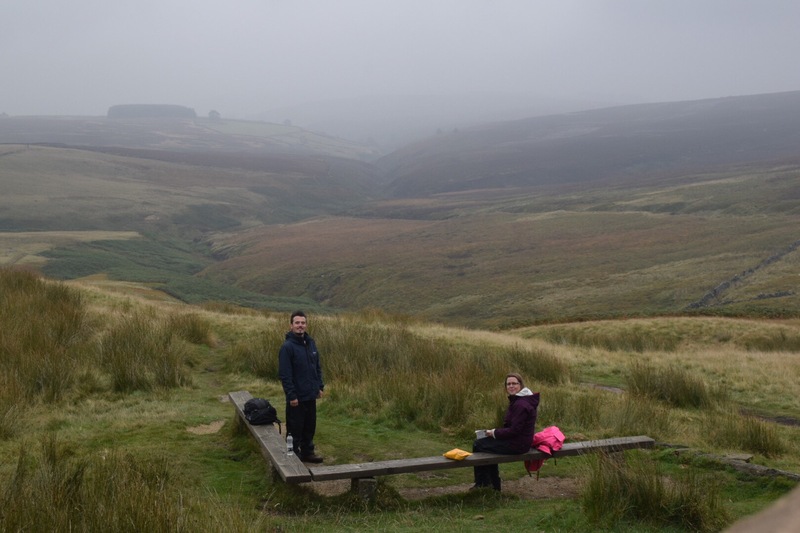 My knees were sore from the Top Withins walk. So they hurt on the descent down the towns hills and killed on the ascent. My feet were relieved to be in bed and they recovered overnight but the knees, oh the knees. Hopeful that this is not a long term souvenir of our trip to Haworth!!!! Overall we absolutely loved Haworth! Can’t recommend it highly enough. A lovely friendly, interesting town. Put it on your list! What a lovely report, it sounds like it was perfect. It is such an emotional place isn’t it – the first time I went, and saw the sofa where Emily died, I cried my eyes out! Also, things like that you can still see where Mr Bronte/Brunty/Prunty shot his gun at the church tower every morning. 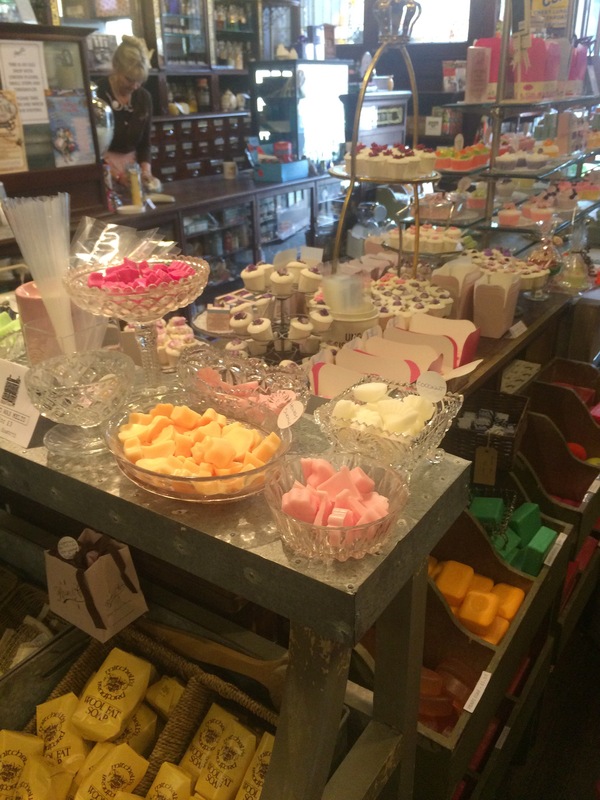 Is the gorgeous cheese shop still there? I hope it is. 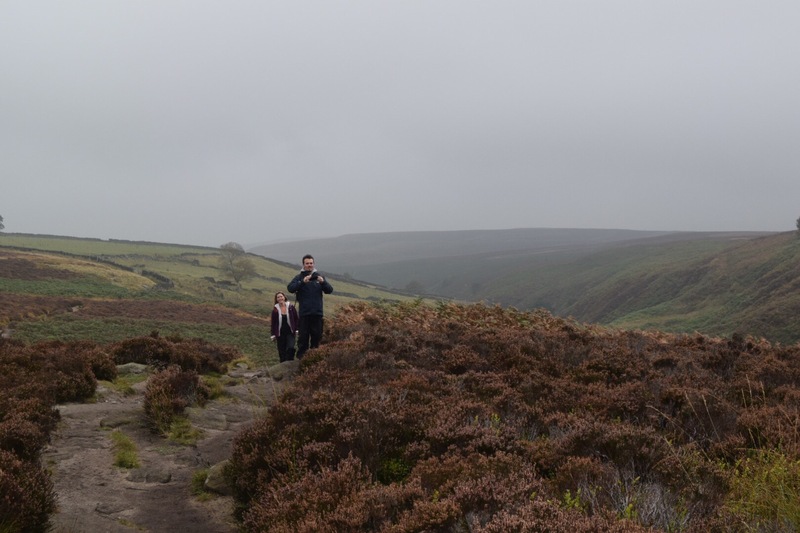 Oh the hills of Yorkshire, how I miss hills! 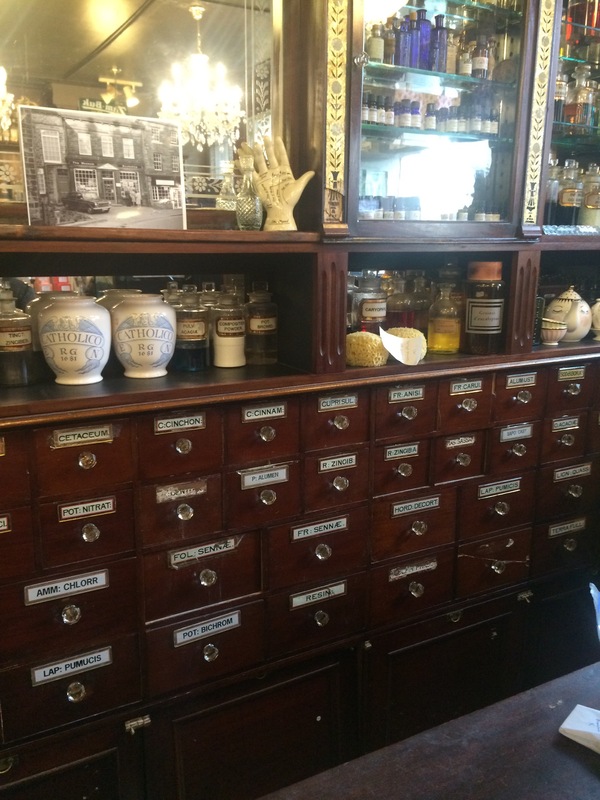 If there is not mild pain and breathlessness when you go to the shop I don’t see the point. 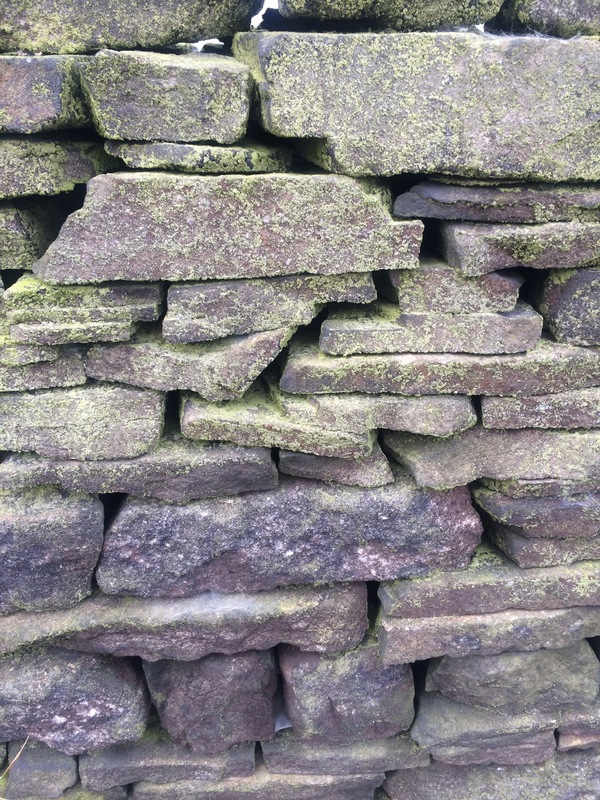 Have you been to Grindleton?